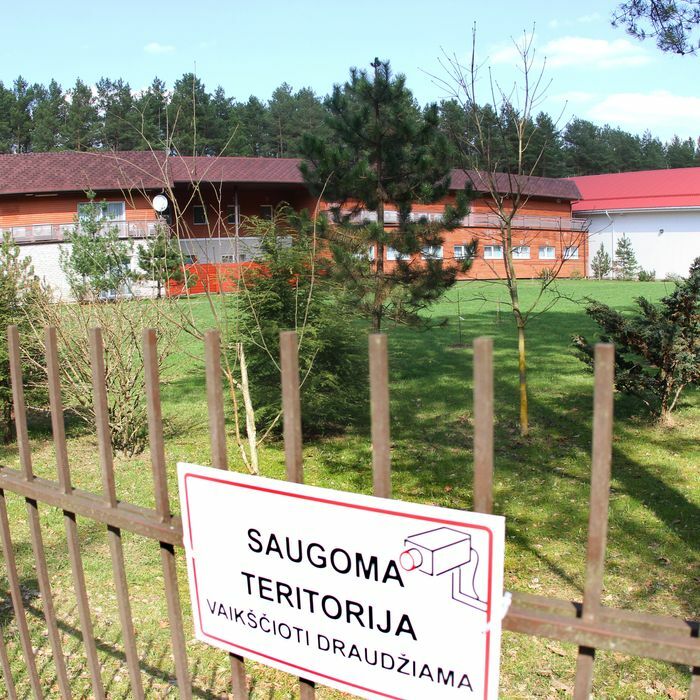 A purported “black site” prison in Lithuania that the CIA is reported to have operated during the Bush administration. It seems as though the White House is, at least for now, abandoning its attempt to revive the use of torture and CIA “black site” prisons, following the revision of a controversial draft executive order. The Associated Press and New York Times are both reporting that sections of that order which had originally pertained to the black sites and torture have been deleted, following widespread bipartisan outrage over the original draft, which was leaked a few weeks ago. The original order, titled “Detention and Interrogation of Enemy Combatants,” sought to revoke an executive order by President Obama in 2009 that banned the CIA from operating prisons and required U.S. interrogators to stick to techniques approved for the Army Field Manual. The original order also sought to resurrect a 2007 executive order by then President George W. Bush which identified which torture techniques counted as war crimes under the Geneva Conventions in an attempt to create legal wiggle room for interrogators who wanted to use other techniques (which were still torture). That order was later rescinded by Obama. The original draft also revoked an Obama directive allowing the Red Cross access to all detainees in American custody, and opened the door to policy reviews which would make reopening CIA black sites a possibility. It seems that all of this language has reportedly been removed from the revised order, which the White House distributed to members of the National Security Council on Thursday. Remaining in the revised order, however, is the expanded use of the infamous Guantánamo Bay military prison, which President Obama tried and failed to close during his two terms in office. President Trump, of course, is an avowed fan of torture techniques like waterboarding, which he has falsely described as an effective interrogation method, and which he repeatedly promised to bring back during his presidential campaign. A few days after the original executive order leaked, President Trump maintained his support for waterboarding, but deferred to the judgment of Defense Secretary Jim Mattis on the matter. Mattis is opposed to the use of torture during interrogations and has sought to convince Trump that it is an ineffective way of obtaining information. Congress also banned the use of Bush-era torture techniques in 2015, and it was never clear how Trump and his advisors intended to get around that law.